My head has been filled with visions of lanterns in all shapes and sizes since last weekend's wedding. I love the way lanterns give off a saffron glow, they create a special kind of atmosphere that feels warm and enchanting. 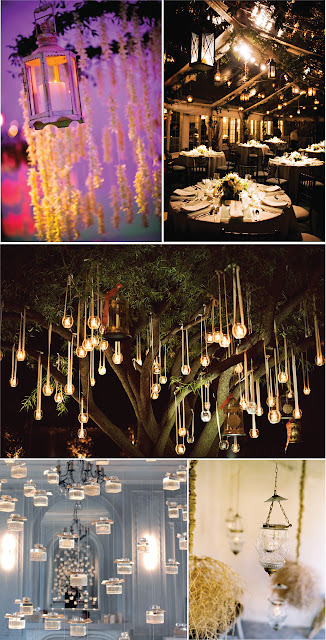 Last weekend, beautiful cage-like lanterns that were draped with light melon-colored streamers hovered above the dance floor, subtly bathing the room in light. 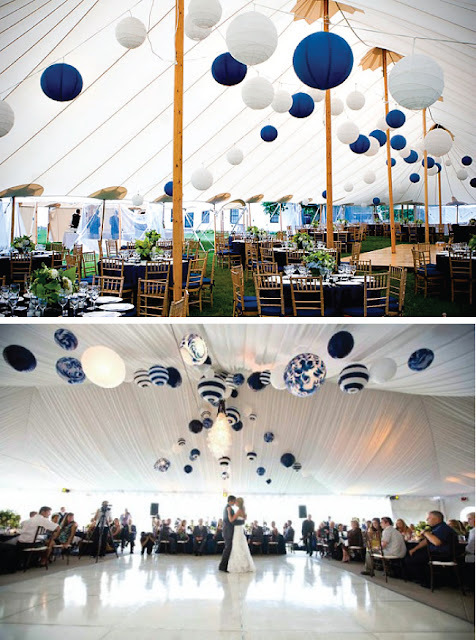 Lanterns come in all shapes and sizes, and can really be used anywhere from a garden party to a wedding to a bedroom. Even unlit they can add color and drama to an otherwise simple setting. They just add romance to any environment.